Looks like after its bankruptcy debacle, OnLive is again setting its sights on the future as GamesIndustry has announced that OnLive will co-sponsor the GamesIndustry Fair Networking Drinks, being held at The Pembroke on September 27. The other co-sponsors are Microsoft, UKIE, Game Connection and the London Games Festival. As the GamesIndustry Fair takes place alongside the Eurogamer Expo 2012 at London's Earls Court, this info is confirmation that OnLive will be part of the Eurogamer Expo 2012 at least in some form. The other confirmation that OnLive will be part of the Eurogamer Expo 2012 is the fact that OnLive is an official supporter of the Eurogamer Expo 2012. The Eurogamer Expo 2012 takes place this month from Thursday 27th till Sunday 30th. 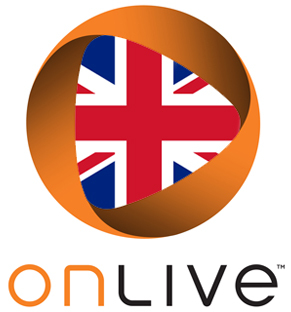 Some might remember that OnLive officially launched in the UK at last year's Eurogamer Expo. Maybe this year OnLive will again reveal some exciting plans for the future at the Eurogamer Expo. News like EA again bringing their games to OnLive would definitely be quite exciting.